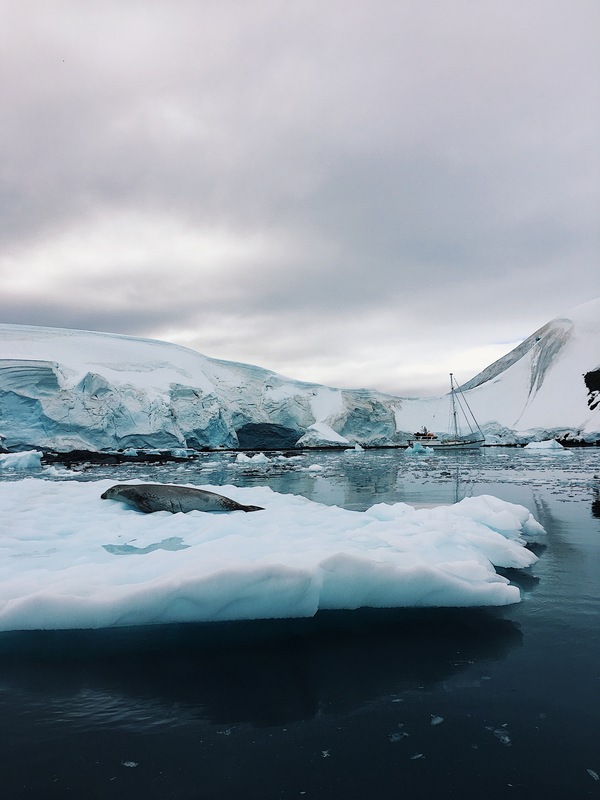 There were a lot of things I expected Antarctica to be… Vast, silent, so cold it hurt. The white continent exceeded these expectations, and surprised me with so much more. When I heard Ken Done (Chimu’s artist-in-residence for 2015) speak at his Pinktarctica exhibition, he said Antarctica changes you. I remember wondering how it would change me, if at all. I wondered who I even was to begin with. How much did I really know about myself? And seriously, what could a place actually teach me? Now that I’m home and people are asking me about my trip, I don’t think I’m exaggerating in saying that Antarctica did change me. I learnt so much about myself, and life, and what I want out of it, because time passes differently at the end of the earth. Frozen rivers, which take hundreds of thousands of years to flow down mountains at once made me feel small and insignificant. My entire life was reduced to a heartbeat standing on ancient ice. It made me realise how fleeting my existence is, and compelled me to make use of my heartbeat. I have this theory that one day in Antarctica is like a year back home. I lived ten years in ten days. In Antarctica, the landscapes were vast, but I didn’t realise just how overwhelming their hugeness would be. The sheer scale of the mountains and glaciers were impossible to wrap my head around. The landscapes challenged me to consider something far greater than myself and they put my physical world into perspective. The experience was humbling, and I felt I better understood my place in time and space. I also mentioned my expectation for the silences in Antarctica. I guess what I didn’t expect was how confronting that silence would be. I was fortunate enough to sleep on the continent, not in a tent, but in a sleeping bag in the snow. During the middle of the night, the silence was deafening. The total absence of sound was magnificently terrifying, and I remember coughing just to check if my ears were still working. I fell asleep, and was woken in the early hours of the morning by the indescribable thunder of a nearby glacier calving. I sat up in the snow and looked out over a teal, glass sea. A pod of humpbacks were feeding beneath an ashen sky, and I wondered, how the hell am I going to capture this moment with words? Later that day, I jumped off the Sea Spirit into the Southern Ocean. I had imagined for months what it was going to feel like, and then suddenly, I was underwater, with an iceberg several hundred metres away, and the sea was dark and endless, and it was nothing like what I’d expected. When I surfaced, I suddenly became acutely aware of my breath. I felt the air rush into me and I felt the pressure of each of my ribs moving as my lungs expanded. I felt oxygen reach and energise every part of my body. 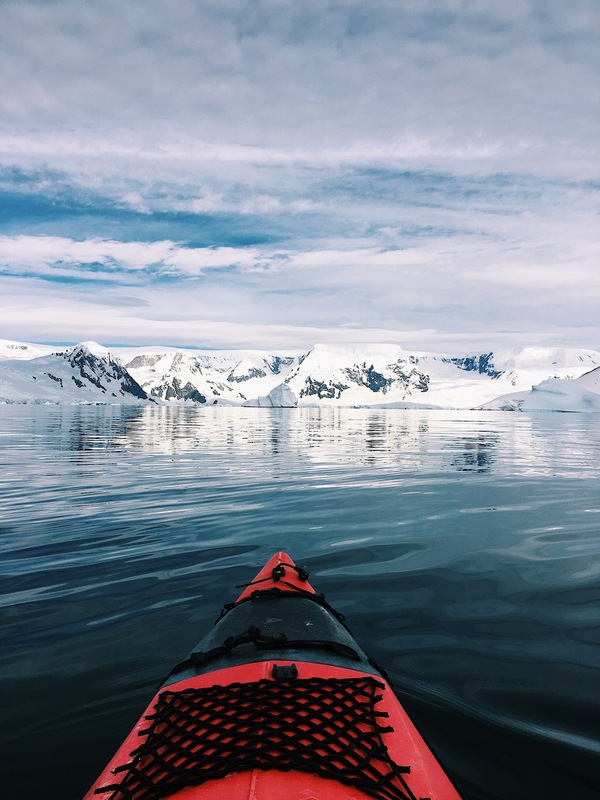 The water in Antarctica made me understand my body in a way I never thought possible. In that way, it changed my physical experience of the world. What’s more, I have always been a child of the sea; I talked about this in my pre-voyage blog post for Chimu. 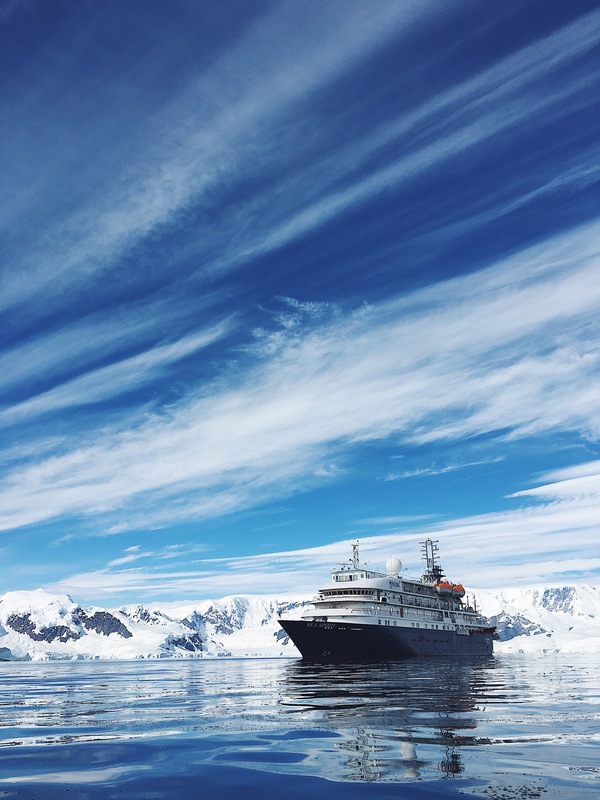 Entering the ocean in Antarctica, I experienced the most overwhelming sense of coming home. All the things I love about the ocean, it’s vastness and unfathomable depths, were striking in Antarctica. And now, reflecting on my time there, I don’t think I’ve ever felt so connected to a place, so at home. Finally, the white continent allowed me to understand the interconnectedness of all things. The landscape is so fertile with wildlife. When I say that you see whales, seals, penguins and sea birds constantly, I’m not exaggerating. And what was remarkable to see was the way these animals coexisted. It seemed a perfect balance, and then one expedition guide pointed out to me a strange jelly-like organism that is feeding on the same plankton as the krill. It shouldn’t be in Antarctica, but it’s coming down to the peninsular because the waters are warming. 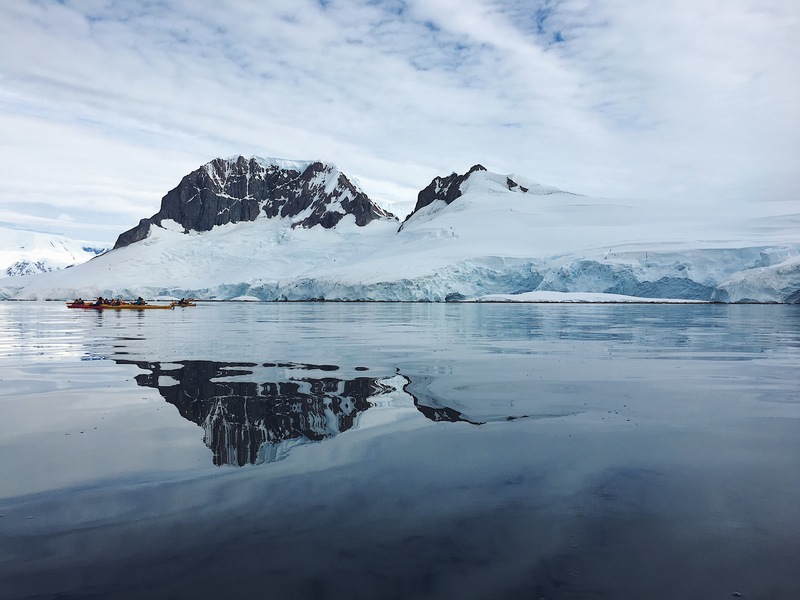 Less krill will affect everything in Antarctica, and in understanding that, I felt a sense of urgency to come home and work to make Antarctica’s voice heard. I’ve come back to Sydney powerfully excited for my two projects. 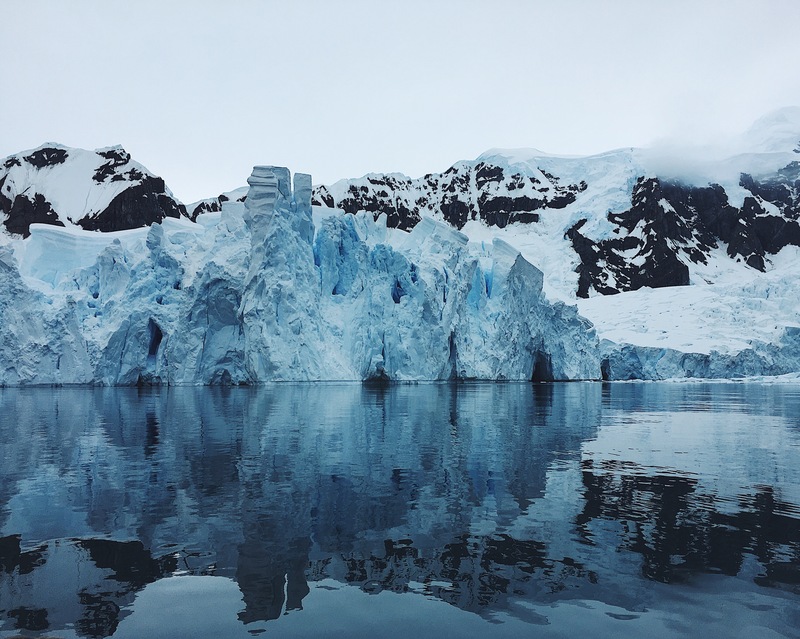 The first project is at university, researching the role contemporary art could play in preserving Antarctica. 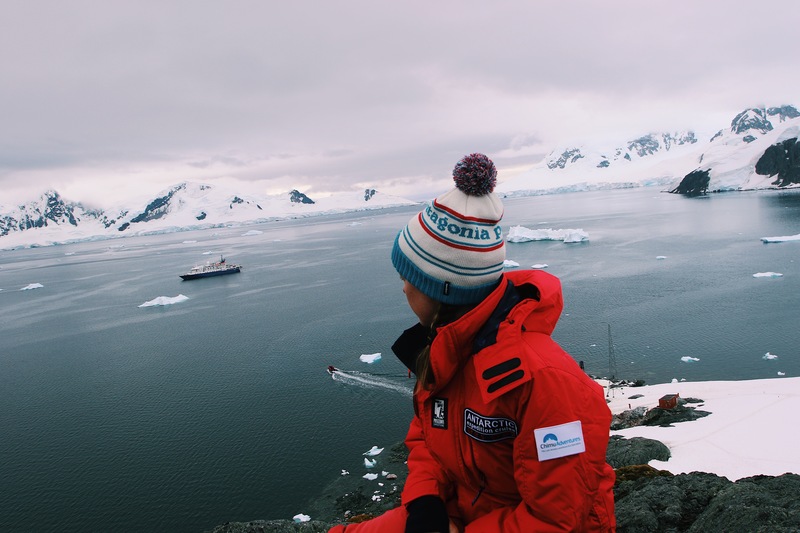 I’m motivated now not just because I’ve seen that the landscapes are beautiful and romantic, but also because I now understand Antarctica as the lungs and the beating heart of planet’s climate systems. I know that if we lose it, we’re at risk of losing ourselves. My second project is my third book, a novel partly set in Antarctica. So much of what I experienced is what I’d hoped for my main character, Maddie. I can’t wait to see her come alive in words. Antarctica affected me deeply, and maybe I won’t understand the extent to which it has changed me for a long time. For now, I am eternally grateful to Chimu Adventures for taking me as an artist-in-residence to a land so wonderfully far away; I really did live ten years in ten days.